Dirty politics, disrespect and voters: What's next for Democrats and Black America? WASHINGTON—The latest crisis for the Democratic Party, sparked by former party interim chair Donna Brazile’s new tell-all book, harkens back to historical mistreatment by an entity that pretends to be a friend of Blacks, several analysts and activists said. 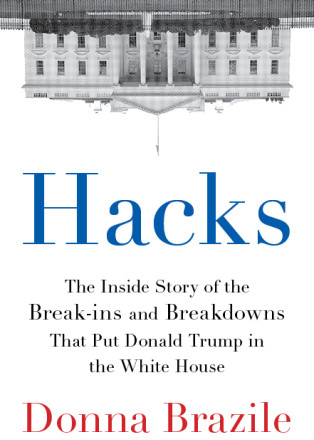 In “Hacks: The Inside Story of the Break-ins and Breakdowns That Put Donald Trump in the White House,” Ms. Brazile speaks of feeling like she was treated as a slave, not being allowed to spend money she raised to do her job, and how she considered replacing Democrat Hillary Clinton with former Vice President Joe Biden after Ms. Clinton fainted on the presidential campaign trail. Revelations by DNC strategist Brazile may have startled some but many were not surprised, including Lauren Victoria Burke, who writes about Congress and politics from Capitol Hill in Washington, D.C. She is the managing editor for POLITIC365.COM. Former Ohio state senator Nina Turner told CNN Nov. 3, that Ms. Brazile’s remarks are indicative of a crisis in Washington. “The fact that you have someone like Donna Brazile, who was the first African American woman to run a national campaign, a presidential campaign … ran Vice President Al Gore‘s campaign, 30-year relationship with the DNC and also the Clintons, and whether people agree with what she has done professionally in her life at certain points, the fact that she is pointing this out means that this is serious and that there is absolutely a crisis in the city,” said the former supporter of Sen. Bernie Sanders, who lost the Democratic Party’s presidential nomination to Mrs. Clinton. She lost the presidential race to Republican Donald J. Trump. The book, and an excerpt published on Politico.com, revealed how the Clinton campaign raised money for a broke DNC and exerted control over spending, staffing and important decisions during the presidential primary. 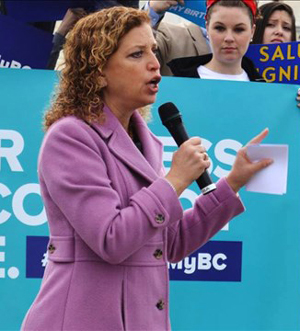 Opponent Sanders raised no money and had no such controls over the party. 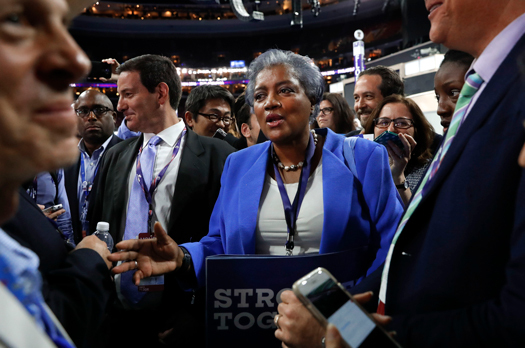 Ms. Brazile details a crisis in the DNC that pitted her against Clinton campaign officials. In one fiery conference call, heaped with disrespect for her position as the DNC chair, Ms. Brazile told three senior campaign officials, Charlie Baker, Marlon Marshall and Dennis Cheng, that they were treating her like a slave. 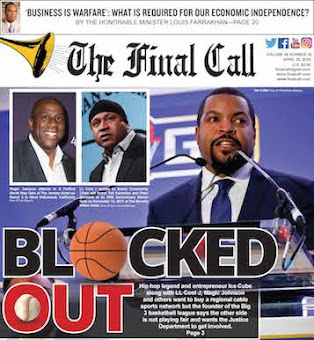 Mr. Kirk, a member of the Coalition of Black Trade Unionists, agreed that the Democratic Party has fallen short of putting action behind its words. Mr. Kirk argues that continued exclusion, White privilege and inequality—if unchecked, will impede the Democratic Party’s efforts to become more relevant to a voter base that is becoming browner and younger, very different from the party of the past 50 years. 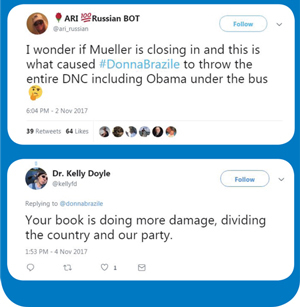 There was concern among Democratic establishment circles of the timing of the book and its impact on Nov. 6 elections in Virginia and New Jersey. Trying to save the DNC? This weakness is what has hobbled Democrats, said Bill Fletcher, Jr., a racial justice, labor and international activist and writer. Mr. Fletcher argues that Blacks need not abstain from electoral politics, but need to adopt a more confrontational yet strategic posture. 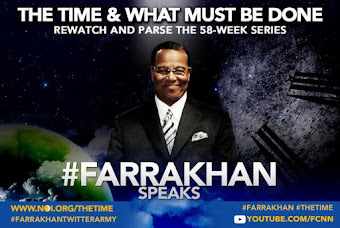 “Every time that we get upset with White progressives or liberals, all we have to do is look at history for the patterns that have played out,” he explained. Self first instead of plantation politics? 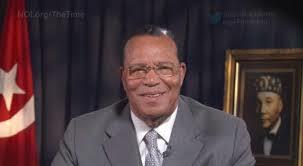 Dr. Ava Muhammad, national spokesperson for Nation of Islam Minister Louis Farrakhan, holds an opposite view from Mr. Fletcher, arguing that neither Republicans nor Democrats are serious about integrating Blacks into the fabric of their parties. 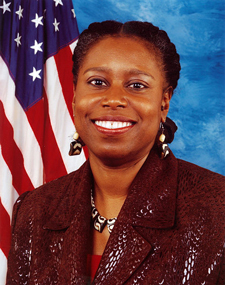 Ms. McKinney is a former U.S. congresswoman. 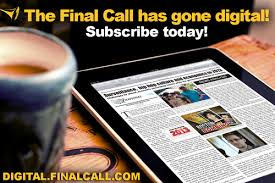 She told The Final Call Ms. Brazile hasn’t told the whole story, and is repeating what the former Georgia lawmaker stated years ago. She spoke with The Final Call in a phone interview from Iraq. Notwithstanding the fact it’s way too late, and criminal conduct was engaged in, and more details exist, it’s good Ms. Brazile spoke up, but it’s nothing new, argued Ms. McKinney. Ms. Brazile has said Clinton’s control of the DNC was unfair but no crimes were committed. The Democratic Party savior could not have Senator Sanders, because he supported many of the Israeli wars, said Ms. McKinney. The long-time Independent Party politician from Vermont failed to beat Ms. Clinton in the 2016 Democratic Party presidential primary. While it dovetails with what he already knew or suspected, the revelations may be too little too late, Dr. Horne continued. “It may be an attempt to provide juicy headlines to sell a book,” he said. Part of the dilemma is many feel there are no alternatives to the Democratic Party except Donald Trump and the Republican Party and they say Democratic unity must prevail. Dr. Horne and others warn Democrats not to take the Black vote for granted. “That, I think, would be a fatal error,” Dr. Horne stated. While Democrat Hillary Clinton received Black support, she won fewer votes than Mr. Obama and failed to energize Black voters. 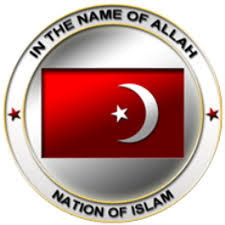 Dr. Melina Abdullah, chair of the Pan-African Studies Department at California State University Los Angeles, and organizer with Black Lives Matter Los Angeles, said Ms. Brazile shows again why Blacks need to critically probe their relationship with the Democratic Party. “We need to recognize that both major parties represent White supremacist capitalism, and neither really advance Black Liberation,” she told The Final Call. Black Lives Matter doesn’t buy into Democratic Party politics, and certainly has not been part of the Republican regime, she said. 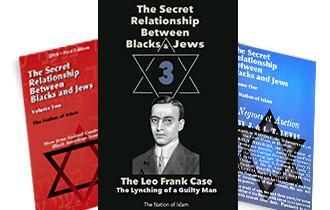 The educator urged Blacks to consider third parties, and ways they can engage in public policy reform outside of traditional politics. “I think it’s really important that we understand the limitations of electoral politics, that you’re never going to vote yourself into freedom, and so it doesn’t mean that we don’t vote, but it means that we can’t rely primarily on voting as our primary liberation struggle,” Dr. Abdullah said. Jasmyne Cannick, Los Angeles-based political consultant and media commentator, warned against Democrats going too hard against a party stalwart. “Ms. 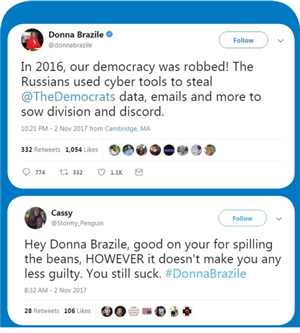 Brazile is a highly respected Black woman. The DNC’s relationship with Blacks in America—who by and large still continue to vote Democrat—is rocky at best. Going after and defaming Donna Brazile to try and save face in light of these truths coming out will not bode well for the Party—and they know that,” she said. “Basically the Democratic Party is yet to change, so they will always be treated as an afterthought, as a transaction,” predicted Ms. McKinney “Let’s spend $24 million on election day and make sure the Black community is flushed with money on one day, but let’s not give them any public policy. 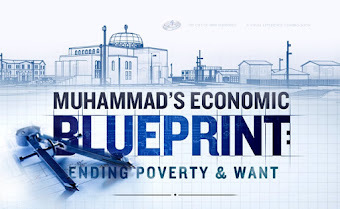 … That’s what the Democratic Party does,” she said. Ms. McKinney likened the Black predicament politically to a toddler. “If we are not at that stage and we are still looking to mama to put us up on her shoulders, and that means the Democratic Party, then we will never ever walk on our own two feet,” she said. Ms. McKinney, who was critical of Democratic policies while in Congress, served as a Democrat.